8" Squeaker disc for your dog's enjoyment and exercise. 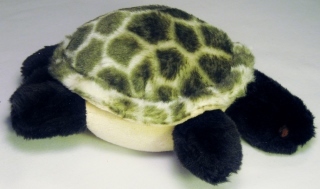 Squeaker Teddy Bear 9" Tall for your dog's enjoyment and exercise. 3 inch colorfull catnip filled toy. 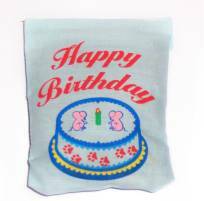 Blue background 4 x 3" linen bag toy filled with 100% Catnip-No bulky fillers. Made in the U.S.A. This is a whimsical Shark shaped toy made of heavy duck cloth canvas and filled with Catnip. It is a 5" toy. 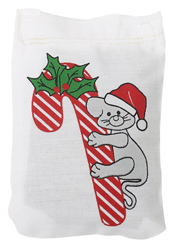 Linen 4" x 3" Toy filled with 100% Catnip-No bulky fillers. Made in the USA. Bone Shaped Toy filled with 100% Catnip-No bulky fillers. Made in the USA. Fish shaped Toy filled with 100% Catnip-No bulky fillers. Made in the USA. Available in Green,Blue and Red. Each package contains three Fish Toys, one each Red, Blue and Green. 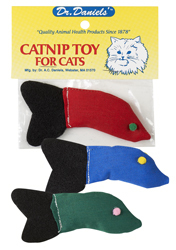 Toy filled with 100% Catnip-No bulky fillers. Made in the USA.